Brand faux pas are often disguised as great ideas. Given it can set you back years, it's worth knowing a little about how to seriously screw your brand. Your brand is more than a slick visual identity: it’s a valuable corporate asset in which a significant investment has been made. In many organizations, its value is both tangible and fungible, with a line in the P&L statement and a big role to play a company’s market value. For example, when Gillette was acquired by Procter & Gamble, the brand was valued at $24 billion—a sizable chunk of the $54 billion paid for the company as a whole. Brand mistakes can have a serious impact. But the brand is also fragile, and knowing how to protect it from common missteps is crucial. These cautionary tales underscore three of the easiest ways to undermine the brand’s integrity and destroy its value. Fans of The Simpsons will recognize the perils of brand hyper-extension in the example of Krusty the Klown, the greedy, opportunistic huckster who lends his face to everything from handguns to home pregnancy tests. But real companies often make the same brand mistakes. A brand should be flexible enough to allow the company to evolve and grow. But that growth needs to be thoughtful, logical, and organic. Push the brand to fast or too far, and you risk jeopardizing its integrity. Colgate discovered this when they made the bemusing decision to extend the brand to packaged meals, and so did Harley Davidson when they lent their rugged, outlaw identity to perfume. Fortunately, both companies are large enough to take the hit from their brand mistakes. A strong brand is a fulcrum that can support many different products and services. But it’s a two-way relationship: no brand is strong enough to carry a product that doesn’t embody its core attributes. Before applying your brand to a new product or service, ask yourself: what promise does your brand make to consumers? Is this promise embodied in the new application? For Colgate, a promise of freshness and cleanliness doesn’t fit with the convenience and comfort of packaged meals, and the misalignment resulted in not only a failed new product line, but the erosion of their core toothpaste sales. For Harley Davidson, the foray into perfumes and other ill-suited products created a consumer backlash among a very loyal fan base, and the company ended up jettisoning—at great expense—a range of products that weren’t aligned with their core brand strategy. While a healthy brand evolves over time, when the evolution is too swift, it can undermine the sense of permanence and loyalty it inspires in consumers. One of the most memorable examples of this phenomenon is the 1985 launch of “New Coke.” When the Coca-Cola company replaced the much-loved product and its distinctive visual brand with a new product and brand identity, the world erupted in dismay and outrage, and it became the biggest PR disaster in the company’s hundred-year history. 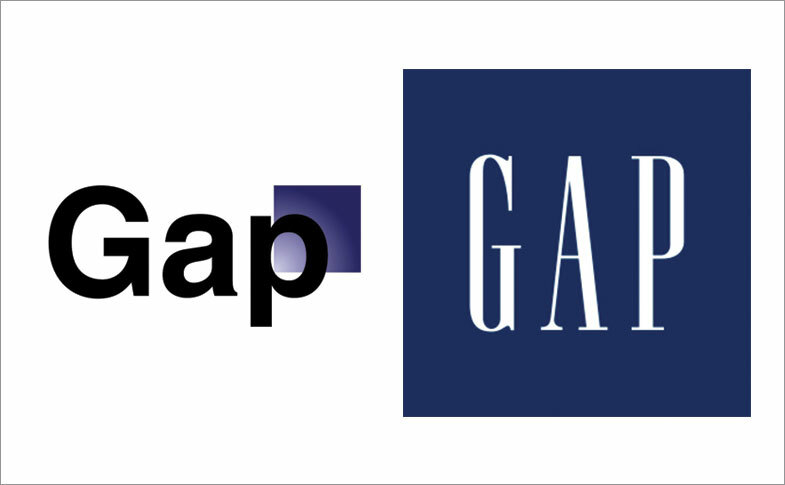 More recently, the redesign of the GAP logo in 2010 set off a torrent of hate on the Internet, leading the clothing company to revert to their old logo within a week. Six years later, the GAP is still using the original, serif-font typeface against a plain blue background. Updating the brand is a delicate operation, and it’s not always easy to get it right. While great visuals based on sound design principles will go a long way towards smoothing the transition, the issue is more than pixel-deep. According to a study on logo redesigns, the people most invested in your brand are those who will be most upset when you re-invent it. While change is inevitable, it can also be unsettling for those who identify strongly with the brand. To minimize the potential for brand mistakes, make sure the redesign isn’t just window-dressing. Visual changes need to tie into deeper changes to the brand development and the promise it makes to the world. The day after the Boston Marathon, foodie website Epicurious outraged the world by sending out saccharine tweets that suggested making scones could help people feel better about the tragedy. Similarly, clothing brand Kenneth Cole also angered the Twittersphere by using the violent Egyptian uprising against Mubarak to promote his new spring line. Frozen pizza brand DiGiorno appalled the public by jumping on the trending hashtag, #WhyIStayed—a tag that referred to reasons why women stayed in violent domestic situations—to tweet about its pizza products. # Brand mistakes. Brands are not discrete entities. They exist in the wider context of the world, and they need to understand and react to that context in thoughtful, characteristic ways to preserve and reinforce their identity. When brands become self-interested and isolated from the world around them, they risk becoming tone-deaf, irrelevant, and downright infuriating. The most successful brands participate in conversations rather than controlling them. They listen more than they talk. They collaborate rather than co-opt. And they contribute to the discourse based on the unique value and perspective they can bring. Your marketing strategy needs to be focused outward on what resonates with your audience, not inward on what matters to you. Previous: Employer Branding	Next: Why have a business when you can have a brand?